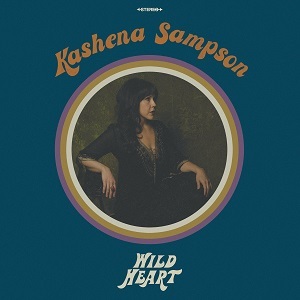 Kashena Sampson’s life has been so full of twists and turns that it could almost be a country song in its own right. Originally from Las Vegas, after struggles with drugs and alcohol Sampson left her home in Los Angeles for a gig as a cruise ship singer. She then moved to Nashville where she wrote and produced her debut album, Wild Heart. The record won a slew of critical acclaim in the US, and now it’s finally out in the UK too. The album opens with Away From Here, which combines its full, rhythmic melody with bittersweet lyrics. Sampson’s vocals range from gravelly, ringing tones to soaring high notes, and I liked the gospel touches and old-school 70s vibe too. It put me in mind of albums such as Joni Mitchell’s Ladies of the Canyon and really set the template for the rest of the record. Throughout the album Sampson draws on a range of styles, including blues on the almost-spiritual It’s A Long Way, surf rock on Never Give Up and Western swing on Don’t Sit Too Well, with its upbeat melody and biting lyrics of a woman wronged. I also loved the imagery in her lyrics, particularly the self-deprecating, bouncy Greasy Spoon which was packed with vivid details, and the cinematic Hold Me Close, where she sings of a lover with ‘one foot in the water and another on dry land’. However, what pulled the whole piece together was Sampson’s gorgeous vocals. 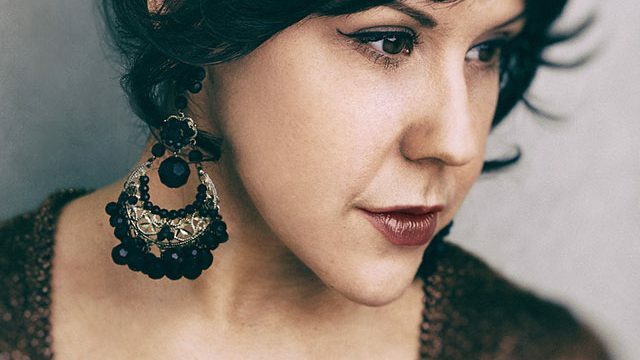 By turns sweet, sassy, smooth and powerful, she has a beautiful quality that makes it incredibly easy to connect to the emotion of her lyrics. The best example of this is Motherless Child. The song starts with an a capella, almost operatic intro before Sampson sings the verses, often consisting of one repeated line. The addition of a slow, atmospheric drumbeat really immerses you in the sorrow of the song and makes the whole thing utterly spine-tingling. Two other standout tracks for me were Wild Heart and She Shines, which almost felt like companion pieces to each other. Wild Heart is a lovely blend of ethereal vocals, rattling melody and a sense of resigned caution as Sampson asks her lover to let her be free.. Meanwhile, despite its mellow feel and lush strings, She Shines shows off the growl in Sampson’s voice and is made more powerful by its restraint, in a way that reminded me of Jewel’s early albums. The album closes with Come Back To Me, which starts with a slow piano intro and quivering strings. Sampson’s vocals glide effortlessly over the melody and are full of yearning, but without being too over-the-top. The song then builds to a dramatic, orchestral bridge reminiscent of Michael Bublé’s Cry Me A River before dropping away. It packs an emotional punch and is a song that stays with you long after the last notes fade. Overall, Wild Heart is an affecting album with a truly timeless feel to it. Sampson shows off her bluesy, rich vocals and raw, honest lyrics to great effect and it’s nice to see different facets of her personality on show. The only thing I would perhaps have liked would have been one or two more upbeat songs, but when the slower songs are this good there really isn’t much to complain about. This is an accomplished debut album and I’m looking forward to hearing more from Sampson in the future.